"These publications will educate and inspire horse enthusiasts." Essential horse book library - excellence in horse literature. If you are looking for educational material on managing and caring for your horse, whether related to pasture management, shelters, health care, boarding, feeding, buying a horse, or learning how to ride a horse, we highly recommend the following horse books / ebooks. These suggested horse books are some of our favorites for demonstrating excellent publishing quality, providing educational information having lots of merit, and are reader friendly. 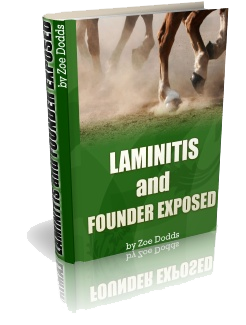 THINK YOUR HORSE HAS LAMINITIS? Discover the closely guarded secrets to easing your horse's pain today. Introducing An Incredible Method That Will Allow You To DiscoverThe Unparalleled Joys Of Owning A Horse! Borrowing Freedom: A Guide to Purchasing Your First Horse answers the questions you as a first-time horse buyer has. It provides the direction and information you need to go from being just another person who always wanted a horse to a proud and happy owner of a truly magnificent animal. If you've ever wondered what you need to know and do before investing in a horse or the nuts and bolts of actually finding and purchasing an animal, Borrowing Freedom: A Guide to Purchasing Your First Horse is an e-book you simply cannot afford to miss. Borrowing Freedom will provide you with the information you need to make your dreams into reality. You won't need to wonder "how" or "if" anymore. 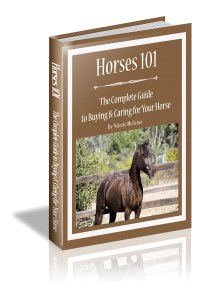 You will finally have answers and directions that will help you buy your first horse. Borrowing Freedom provides all of the information and perspective necessary to allow you to finally become the horse owner you have always wanted to be. Yes! You can Have Your Own Horse Show! Here's how you can quickly and easily Have Your Own Horse Show! 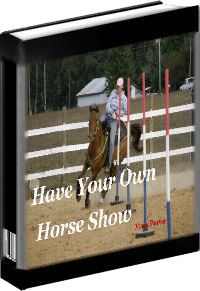 Have Your Own Horse Show...it will be the source of Fun and Excitement for your riders, and riders from your local area. Enjoy the satisfaction of running a horse show without hesitation, and be the person remembered for providing everyone with having so much FUN they will want to COME BACK AGAIN FOR MORE! This 128 page eBook provides you with all of the answers you ever needed about horses and horse ownership and it has a tilt towards the natural side of things. If you’re ready to buy your first horse or just want to learn more about horse care, then this is the book for you. Plus, you can never have too many horse books. Now You Too Can Grow Long, Thick, Luxurious Manes and Tails and Make ANY Horse Stunningly Gorgeous Amazingly Fast! 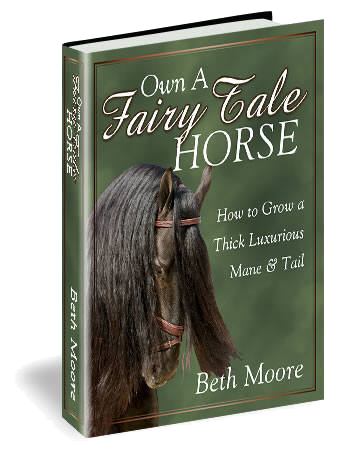 Own a Fairy Tail Horse! Start Now, and in a Couple of Months You Could Add Up to Two Feet of Thick, Luxurious Length to ANY Mane and Tail. With just a few simple tricks and secrets, growing a luxurious mane and tail is easy, even on a shoe string budget. It takes very little time; only minutes a week and I bet you already have the tools you need. It's possible to multiply your horse's value so you can command the highest price possible if you decide to sell your horse. I know, I've done it myself. I've taken ugly horses and turned them into beautiful swans seemingly overnight! I'm going to tell you exactly how you can have the most beautiful horse around and be the envy of all your friends, but the most important thing of all, is what NOT to do! All that bad advice I got that actually made things worse, is covered in my book. I bet you're making the same mistakes I was. From The Comfort Of Your Own Home!!! Visit Learn Horse Riding to find out more. 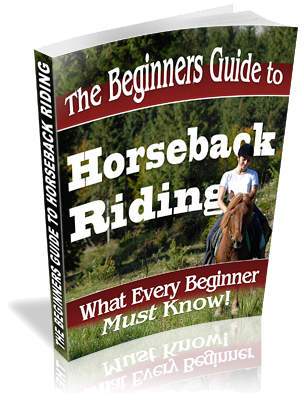 The promise of this horseback riding ebook is simple: Read it, follow the many tips, tricks and techniques and you will quickly and easily learn how to ride a horse. It's a home Horseback Riding Lesson. You will learn horseback riding, from a professional horse rider, all from the comfort of your home. Gain the knowledge necessary to feel safe and confident the first time you sit in the saddle, and really make the most of your investment in riding lessons. Perhaps no horse book is a substitute for proper and qualified instruction, but this book is an invaluable way to prepare you for your great new experience with Horseback Riding! With this tremendous background knowledge you will save significant time and expense in learning such basics from an Instructor. There Are Many Exciting and Important Things That This Ebook Can Teach You! You will learn terminology related to horses and horseback riding - After reading this, you will be able to communicate with other horse lovers and will sound more knowledgeable. Find out the right way to approach a horse - avoid mistakes that could scare the animal and result in serious injury for you. Find out how to mount easily, safely, and gracefully. Learn the correct way to hold and use the reins - this will help you control the horse perfectly and allow you to ride with style. Learn the basics of walking a horse in just a few minutes so that you can try a trail ride. 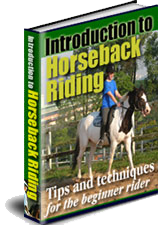 Find out the best ways to stop a horse or to get the horse moving backwards. Discover the secrets of how to "read" what your horse is thinking - you don't have to be a horse whisperer to communicate with horses, "Introduction to Horseback Riding" will show you how!